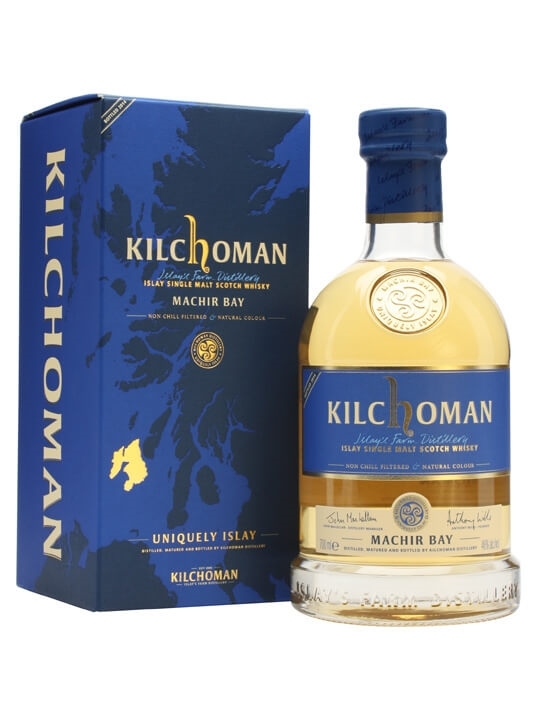 Here’s the second dram from the Manchester Whisky Club’s tasting with Kilchoman, the Machir Bay 2014. Nose: Wafts of citrus, with sea breeze and sweet barley. Rock dust and linen. Palate: Sweet vanilla and lemon candy, dry peat, barley sugar and a little mint. Finish: Gentle oak with a tingle of peat. Drying. Unlike the 100% Islay, this bottling is made with barley from Diageo’s Port Ellen maltings, produced at a similar spec to Ardbeg. 90% of the whisky is matured in Bourbon, and 10% in Oloroso, which are then vatted together and bottled at 46% ABV. This is the cornerstone of Kilchoman’s core range, named after the sweeping sandy bay that the distillery overlooks on the West of Islay. I really recommend tasting it for that lovely earthy peat smoke that runs through the palate. It’s like you’ve been eating Islay soil, but in a good way.